Made of Synthetic Leather (Amara) With Scilicon Printed . 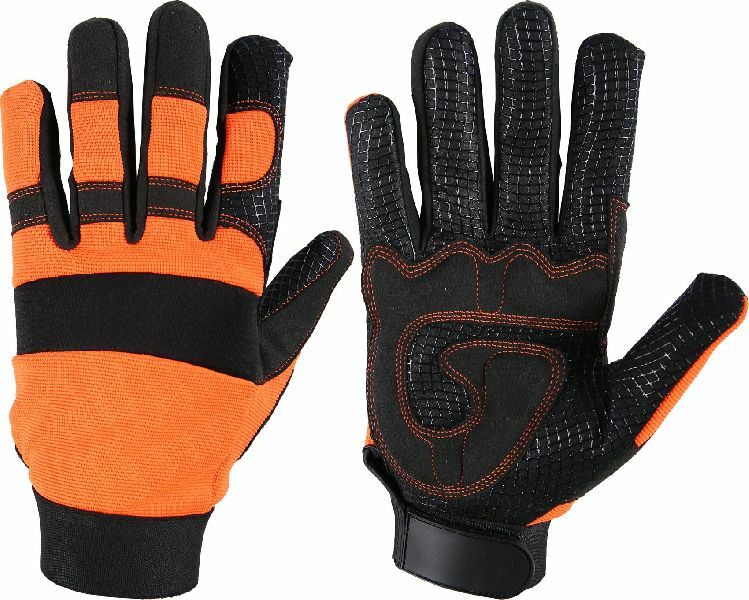 Reinforcement palm with Eva Padding, provides More Durability and Excellent Grip . Back Orange Color Nylon/Spandex Laminated with Foam (Available in different Color).